Progressive friends and family, it is clear that the lesbian, gay, bisexual, and transgender (LGBT) movement’s next move is to lobby Congress for a comprehensive LGBT civil rights bill. The Equality Pledge Network has begun conducting the 2014 Equality Poll. The poll is seeking our elected official’s position regarding comprehensive LGBT civil rights and full federal equality in the United States. The Equality Pledge Network is a nationwide alliance for full LGBT equality. The Equality Pledge Network’s support spans the entire LGBT community including LGBT statewide organizations, pride committees, LGBT community centers, GLSEN and PFLAG chapters, Stonewall Democrats, and the grassroots. The 2014 Equality Poll corresponds with the Pledge for Full LGBT Equality, endorsed by over 250 LGBT and allied organizations listed here, which calls upon Congress to categorically outlaw discrimination against LGBT Americans as a human rights imperative and a public health emergency. The poll has been sent out to nearly every member of Congress. Now is the time to follow up with members of Congress and urge them to take the poll. Therefore, I am asking you today, to call, email, or fax your member of Congress, ask them to take the poll and share your personal story. My name is [your name] and I am your consituent. I am writing you to encourage you to take the 2014 Equality Poll. The poll is seeking your position regarding comprehensive lesbian, gay, bisexual, and transgender (LGBT) civil rights and full federal equality in the United States. I call upon your sense of justice and compassion in asking for your support to protect LGBT Americans from discrimination equally and fully. 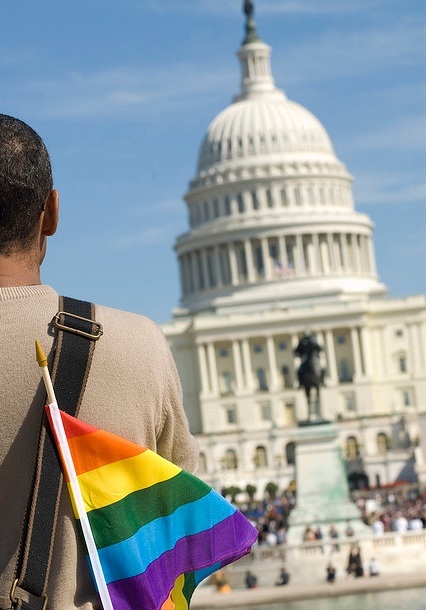 You can find the 2014 Equality Poll here and you can go here to find your Congressperson. This website here makes it easy for you to fax your Congressperson. Thank you so much for your time and energy in this effort for fairness and equality for all. Previous Vote 2014 for Your Families & YOUR Future!